Tutti i modelli, chiamati A10.1, A10.2, A10.3, A10.4, A10.5, A10.6 e A10.7 offriranno un processore dual-core Nvidia Tegra 2, display multitouch ad alta risoluzione, uscita HDMI (FullHD), USB e supporto microSD (fino a 32GB). IL pre-ordine partirà il 17 gennaio, ma al momento nessuna parola sui prezzi. 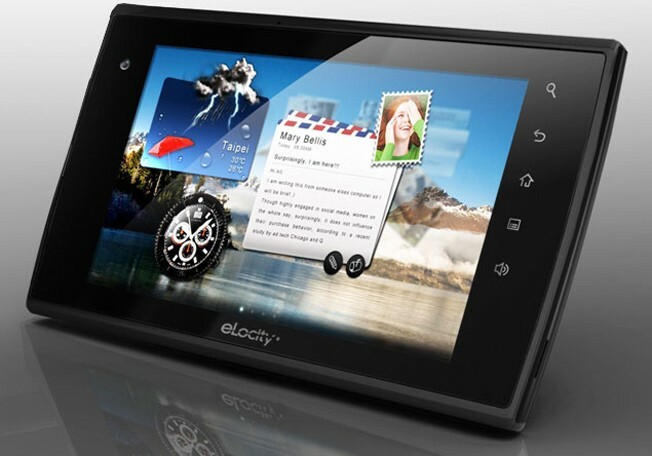 PHILADELPHIA, Jan. 3, 2011 /PRNewswire/ — Stream TV Networks announced today it will be expanding its eLocity product line and launching the 10-inch eLocity A10 line of mobile tablets for preorder on January 17th, 2011 at various online retailers. The A10 line will be previewed at CES on January 6th, 2011 (Stream TV Booth 30329), where detailed specifications will be released. Stream TV’s mission is to bring to market innovative products featuring state-of-the-art technology designed to transform consumer communications and digital lifestyle.